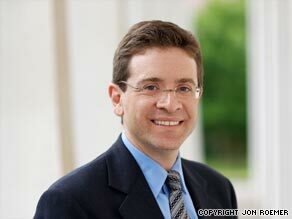 Julian E. Zelizer says President Obama needs to speed up stimulus spending to jump-start economy. PRINCETON, New Jersey (CNN) -- Vice President Joseph Biden has acknowledged that the $787 billion economic stimulus program has not yet had the impact that the White House was looking for. "We misread how bad the economy was," Biden said during an interview. But Biden's account downplays the damaging compromises that the administration made on the stimulus package back in February, as well as the problems that have emerged in implementing the program. Back in January and February, when the administration and Congress completed their work on the economic stimulus bill, several Democrats and liberal pundits warned that President Barack Obama's stimulus was not going to be enough to revitalize the economy. While Republicans argued that Congress should do nothing other than cut taxes, Obama's Democratic critics said that another bad scenario was to pass an expensive and highly visible measure that would not actually accomplish the job. This would become a recipe for political attacks down the road, evidence that government can't help achieve economic stability and that President Obama's judgment on policy was suspect. And there is some early evidence that this scenario is now playing out. According to the most recent Gallup Poll, many of the cherished independent voters in swing states who had shifted toward the Democrats in the 2006 and 2008 elections are now unhappy with the president's policies. While President Obama's approval ratings remain at the high level of 56 percent, according to Gallup, these independents are concerned that the president's programs are resulting in too much government spending without achieving clear results. With two million jobs having been lost since Obama started his presidency, it is difficult for many Americans to react well when Director of the White House National Economic Council Lawrence Summers says, "the stimulus is on track...."
GOP slams Obama stimulus as "ineffective"
The early criticism is now worth revisiting. When Congress agreed to the final stimulus in February 2009, liberal critics offered two major complaints. The first was that the level of spending in the bill was too low given the dire state of the economy. "I'm not sure if the $800 billion stimulus plan is adequate to the problem," said Nobel Prize- winning Princeton economist Paul Krugman at Willamette University in January before the final deal had been reached. "We're facing one hell of a crisis and we'll need more than a Band-Aid . . . My guess is that the administration will be back later this year for a second round." After initially complaining that the stimulus was too small, liberals were then furious when Obama agreed to cuts in the size of the stimulus in response to a small group of Senate centrists. The second criticism had to do with where the money was directed. The liberal critics argued that the final stimulus bill focused too much on infrastructure programs and tax cuts, with not enough assistance being provided to state and local governments. Cuts in the legislative process eliminated funding for states to help with food stamps, school construction and more. Finally, there is a problem with the stimulus that did not really become clear until after the bill passed. The implementation has been flawed. Currently, only a small percentage of the stimulus funds has been spent. While countries such as France have immediately made use of their stimulus money, the United States has gone slower. Rightly concerned about the potential misuse of funds, the administration has moved too far in the direction of delaying the distribution of funds. The government's grinding bureaucratic process has also slowed down progress. And the U.S. relies heavily on third parties rather than directly spending the money. The stimulus is experiencing problems similar to those of President Franklin Roosevelt's Public Works Administration. In 1933, the PWA was slowed down by administrator Harold Ickes due to concerns about corruption and inefficient projects. Ickes, who believed that PWA faced the "unattainable ideal of administering the greatest fund for construction in the history of the world without scandal," centralized decision-making and insisted on approving virtually every decision personally. While many of his worries had merit, the White House was unhappy that needed dollars were not getting out the door and into the hands of workers. Roosevelt was fortunate because he could rely on Harry Hopkins and the Federal Emergency Relief Agency, which spent money as quickly as possible. Eventually, despite its problems, the PWA created a lot of jobs and accelerated the development of the South and the West. As the unemployment rate continues to rise and the stock market swings up and down, it is difficult for many Americans to understand the purpose of allocating so much money but then not spending it as soon as possible. The worse that economic conditions become, the harder it is for existing levels of funding to have their desired impact. Seeing results is important politically if the White House needs to ask for more money to jump-start the economy. The stimulus has become a litmus test through which to evaluate the president and this problem compounds the challenge of passing health care and other measures sought by Obama. The best strategy for Obama is not to react as Biden and Summers did. Rather, the best strategy is to fix this. With all the doom and gloom about the president, he still enjoys strong standing with the public, and Democrats remain in a good political position. While the economy was not fully revived until World War II, the New Deal provided relief. It significantly and steadily brought down levels of unemployment starting during FDR's first term. The jobless rate dropped from a high of nearly 25 percent in 1932 to just above 9 percent in 1937. Even if, as some conservatives insist, you somehow consider people who were working in New Deal public works jobs to be jobless -- a dubious claim -- the unemployment rate fell by more than 10 percentage points during this period. The only rise in unemployment occurred in 1937-1938, and that was precipitated by FDR's reducing levels of public spending. Today, the Obama administration cannot afford to stand still on the stimulus. The time has come to correct what's gone wrong with the existing program by speeding up spending and to consider the possibility of making a politically difficult request for more.